Elite Screens® Sable Frame series is the perfect choice for a stylishly sleek home theater room. The Sable Frame series features a 2.36" contoured black velvet covered aluminum frame with distinct crown molding edge. 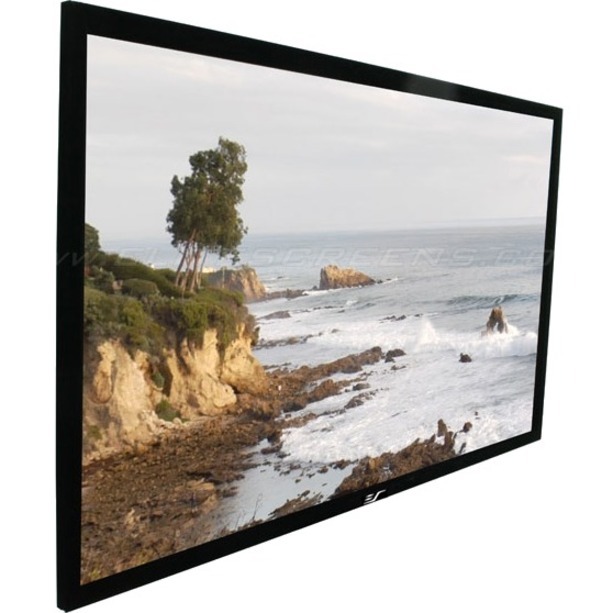 This attractive frame absorbs projector light overshoot while the rear adjustable fix plates provide superior tension throughout the entire screen surface. The Sable Frame 2 screen easily assembles in minutes and is ready to hang using the included sliding wall mounts that ensure a secure and centered finish.